Yep, the 9 inch plate. One of the only things that we could remember when we were leaving the hospital after Silent Sam's diagnosis was that we should use smaller plates. I have no idea who gave us this tip but we did remember it. Now, there might be a question as to whether I remembered it because it meant that I had to shop for new plates or if it was the concept of eating less because you used smaller plates. It was possibly the shopping part but we think that they have made a difference. They were not easy to find. You certainly cannot find plates that are called "dinner plates" that are 9 inch plates. I think our plates were called "luncheon plates". 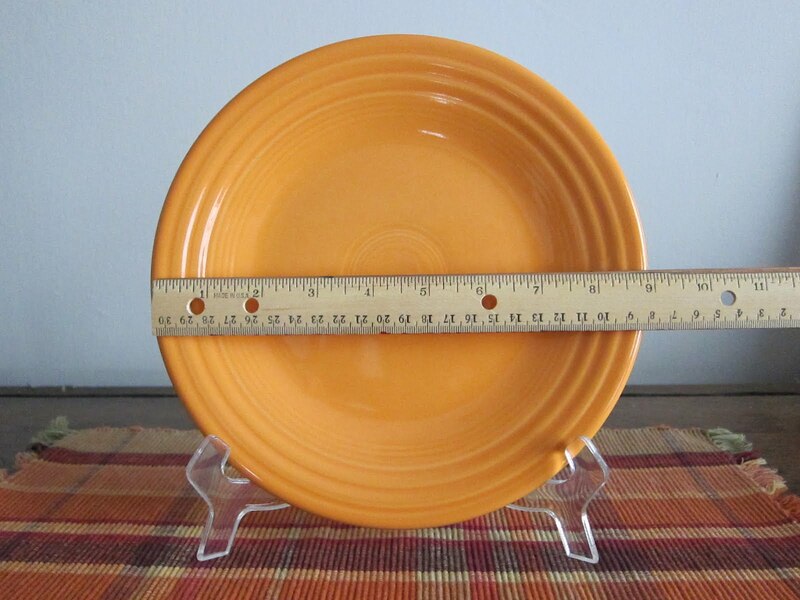 In the US at this point, most dinner plates are about 12 inches in diameter. So, if you are looking for a way to help limit your food intake without really suffering, go out and get some 9 inch plates.